Christian monasticism is the devotional practice of individuals who live ascetic and typically cloistered lives that are dedicated to Christian worship. It began to develop early in the history of the Christian Church, modeled upon scriptural examples and ideals, including those in the Old Testament, but not mandated as an institution in the scriptures. It has come to be regulated by religious rules (e.g. the Rule of Saint Augustine, Anthony the Great, St Pachomius, the Rule of St Basil, the Rule of St Benedict,) and, in modern times, the Canon law of the respective Christian denominations that have forms of monastic living. Those living the monastic life are known by the generic terms monks (men) and nuns (women). The word monk originated from the Greek monachos "monk", itself from monos meaning "alone". Monks did not live in monasteries at first, rather, they began by living alone, as the word monos might suggest. As more people took on the lives of monks, living alone in the wilderness, they started to come together and model themselves after the original monks nearby. Quickly, the monks formed communities to further their ability to observe an ascetic life. According to Christianity historian Robert Louis Wilken, "By creating an alternate social structure within the Church they laid the foundations for one of the most enduring Christian institutions..." Monastics generally dwell in a monastery, whether they live there in community (cenobites), or in seclusion (recluses). The basic idea of monasticism in all its varieties is seclusion or withdrawal from the world or society. The object of this is to achieve a life whose ideal is different from and largely at variance with that pursued by the majority of humanity, and the method adopted, no matter what its precise details may be, is always self-abnegation or organized asceticism. Monastic life is distinct from the "religious orders" such as the friars, canons regular, clerks regular, and the more recent religious congregations. The latter has essentially some special work or aim, such as preaching, teaching, liberating captives, etc., which occupies a large place in their activities. While monks have undertaken labors of the most varied character, in every case this work is extrinsic to the essence of the monastic state. Both ways of living out the Christian life are regulated by the respective church law of those Christian denominations that recognize it (e.g., the Roman Catholic Church, the Eastern Orthodox Church, the Anglican Church, or the Lutheran Church). Christian monastic life does not always involve communal living with like-minded Christians. Christian monasticism has varied greatly in its external forms, but, broadly speaking, it has two main types (a) the eremitical or secluded, (b) the cenobitical or city life. 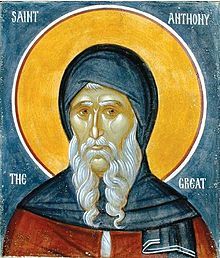 St. Anthony the Abbot may be called the founder of the first and St. Pachomius of the second. The monastic life is based on Jesus's amen to "be perfect, therefore, as your heavenly Father is perfect" (Matthew 5:48). This ideal, also called the state of perfection, can be seen, for example, in the Philokalia, a book of monastic writings. Their manner of self-renunciation has three elements corresponding to the three evangelical counsels: poverty, chastity and obedience. Monks and friars are two distinct roles. In the thirteenth century "...new orders of friars were founded to teach the Christian faith," because monasteries had declined. First-century groups such as the Essenes and the Therapeutae followed lifestyles that could be seen as precursors to Christian monasticism. Early Christian monasticism drew its inspiration from the examples of the Prophet Elijah and John the Baptist, who both lived alone in the desert, and above all from the story of Jesus’ time in solitary struggle with Satan in the desert, before his public ministry. The Carmelites find inspiration in the Old Testament prophet Elijah. From the earliest times within the Christian Church, there were probably individual hermits who lived a life in isolation in imitation of Jesus's 40 days in the desert. They have left no confirmed archaeological traces and only hints in the written record. Communities of virgins who had consecrated themselves to Christ are found at least as far back as the 2nd century. There were also individual ascetics, known as the "devout", who usually lived not in the deserts but on the edge of inhabited places, still remaining in the world but practicing asceticism and striving for union with God. Paul the Hermit is the first Christian historically known to have been living as a monk. In the 3rd century, Anthony of Egypt (252–356) lived as a hermit in the desert and gradually gained followers who lived as hermits nearby but not in actual community with him. This type of monasticism is called eremitical or "hermit-like". An early form of "proto-monasticism" appeared as well in the 3rd century among Syriac Christians through the "Sons of the covenant" movement. Eastern Orthodoxy looks to Basil of Caesarea as a founding monastic legislator, as well to as the example of the Desert Fathers. In 346 St Pachomius established in Egypt the first cenobitic Christian monastery. At Tabenna in Upper Egypt, sometime around 323 AD, Pachomius decided to mold his disciples into a more organized community in which the monks lived in individual huts or rooms (cellula in Latin,) but worked, ate, and worshipped in shared space. The intention was to bring together individual ascetics who, although pious, did not, like Saint Anthony, have the physical ability or skills to live a solitary existence in the desert. This method of monastic organization is called cenobitic or "communal". In Catholic theology, this community-based living is considered superior because of the obedience practiced and the accountability offered. The head of a monastery came to be known by the word for "Father"—in Syriac, Abba; in English, "Abbot". In 370 Basil the Great, monastic founder in Cappadocia, became bishop of Caesarea and wrote principles of ascetic life. Eastern monastic teachings were brought to the western church by Saint John Cassian (c. 360 – c. 435). As a young adult, he and his friend Germanus entered a monastery in Palestine but then journeyed to Egypt to visit the eremitic groups in Nitria. Many years later, Cassian founded a monastery of monks and probably also one of nuns near Marseilles. He wrote two long works, the Institutes and Conferences. In these books he not only transmitted his Egyptian experience but also gave Christian monasticism a profound evangelical and theological basis. At the time of his conversion in Milan in the years 386–387, Augustine was aware of the life of Saint Anthony in the desert of Egypt. Upon his return to Africa as a Christian in the year 388, however, Augustine and a few Christian friends founded at Thagaste a lay community. They became cenobites in the countryside rather than in the desert. Within the Eastern Orthodox Church, there exist three types of monasticism: eremitic, cenobitic, and the skete. The skete is a very small community, often of two or three (Matthew 18:20), under the direction of an Elder. They pray privately for most of the week, then come together on Sundays and Feast Days for communal prayer, thus combining aspects of both eremitic and coenobitic monasticism. Monastic centers thrive to this day in Bulgaria, Ethiopia, Georgia, Greece, Republic of Macedonia, Russia, Romania, Serbia, the Holy Land, and elsewhere in the Orthodox world, the Autonomous Monastic State of Mount Athos remaining the spiritual center of monasticism for the Eastern Orthodox Church. Since the fall of the Iron Curtain, a great renaissance of monasticism has occurred, and many previously empty or destroyed monastic communities have been reopened. After a period of about three years, the Hegumen may at his discretion tonsure the novice as a Rassophore monk, giving him the outer garment called the Rassa (Greek: Rason). A monk (or nun) may remain in this grade all the rest of his life, if he so chooses. But the Rite of Tonsure for the Rassophore refers to the grade as that of the "Beginner", so it is intended that the monk will advance on to the next level. The Rassophore is also given a klobuk which he wears in church and on formal occasions. In addition, Rassophores will be given a prayer rope at their tonsure. The next rank, Stavrophore, is the grade that most Russian monks remain all their lives. 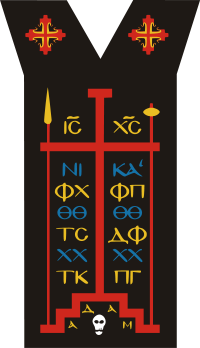 The title Stavrophore means "cross-bearer", because when Tonsured into this grade the monastic is given a cross to wear at all times. This cross is called a Paramand—a wooden cross attached by ribbons to a square cloth embroidered with the Instruments of the Passion and the words, "I bear upon my body the marks of the Lord Jesus" (Galatians 6:17). The Paramand is so called because it is worn under the Mantle (Greek: Mandyas; Church Slavonic: Mantya), which is a long cape which completely covers the monk from neck to foot. Among the Russians, Stavrophores are also informally referred to as "mantle monks". At his Tonsure, a Stavrophore is given a wooden hand cross and a lit candle, as well as a prayer rope. The central and unifying feature of Orthodox monasticism is Hesychasm, the practice of silence, and the concentrated saying of the Jesus Prayer. All ascetic practices and monastic humility is guided towards preparing the heart for theoria or the "divine vision" that comes from the union of the soul with God. Such union is not accomplished by any human activity. All an ascetic can do is prepare the ground; it is for God to cause the seed to grow and bear fruit. The introduction of monasticism into the West may be dated from about A.D. 340 when St. Athanasius visited Rome accompanied by the two Egyptian monks Ammon and Isidore, disciples of St. Anthony. The publication of the "Vita Antonii" some years later and its translation into Latin spread the knowledge of Egyptian monachism widely and many were found in Italy to imitate the example thus set forth. The first Italian monks aimed at reproducing exactly what was done in Egypt and not a few—such as St. Jerome, Rufinus, Paula, Eustochium and the two Melanias—actually went to live in Egypt or Palestine as being better suited to monastic life than Italy. It seems that the first Celtic monasteries were merely settlements where the Christians lived together—priests and laity, men, women, and children alike—as a kind of religious clan. According to James F. Kenney, every important church was a monastic establishment, with a small walled village of monks and nuns living under ecclesiastical discipline, and ministering to the people of the surrounding area. Monastic spirituality came to Britain and then Ireland from Gaul, by way of Lérins, Tours, and Auxerre. Its spirituality was heavily influenced by the Desert Fathers, with a monastic enclosure surrounding a collection of individual monastic cells. The British church employed an episcopal structure corresponding closely to the model used elsewhere in the Christian world. Illtud, David, Gildas, and Deiniol were leading figures in 6th-century Britain. 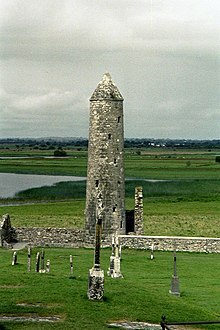 According to Thomas O'Loughlin, "Each monastery should be seen, as with most monasteries of the period, as an individual response to the monastic impulse by someone who had experienced monasticism and then went off to establish either a hermitage to which others later came or a cenobitic community." The monasteries were organized on a family basis. Next in importance to the abbot was the scribe, in charge of the scriptorium, the teaching function of the monastery, and the keeping of the annals. The role of scribe was often a path to the position of abbot. Hereditary right and relationship to the abbot were factors influencing appointment to monastic offices. Buildings would generally have been of wood, wattle and thatch. Monasteries tended to be cenobitical in that monks lived in separate cells but came together for common prayer, meals, and other functions. Celtic monasticism was characterized by an rigorous asceticism and a love for learning. Some more austere ascetics became hermits living in remote locations in what came to be called the "green martyrdom". Women's communities were normally much smaller and poorer. The nuns had to do everything themselves, unless they had a couple of tenant-farmers to supply food, or pious who made donations. They spun and wove, kept their huts clean, milked their cows, and made their own meals, which could be meager. Illtyd spent the first part of his religious life as a disciple of Cadoc at Llancarfan. He founded the monastery at Llanilltyd Fawr. 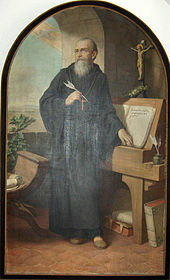 One of his students was Paul Aurelian, a key figure in Cornish monasticism. Gildas the Wise was also a student at Llanilltyd Fawr, as was Samson of Dol. Samson founded a monastery in an abandoned Roman fort near the river Severn and lived for a time the life of a hermit in a nearby cave before going to Brittany. In Ireland a distinctive form of penance developed, where confession was made privately to a priest, under the seal of secrecy, and where penance was given privately and ordinarily performed privately as well. Penance was considered therapeutic rather than punitive. Certain handbooks were made, called "penitentials", designed as a guide for confessors and as a means of regularising the penance given for each particular sin. According to Thomas Pollock Oakley, the penitential guides first developed in Wales, probably at St. David's, and spread by missions to Ireland. Columbanus, an abbot from a Leinster noble family, traveled to Gaul in the late 6th century with twelve companions. Columbanus and his followers spread the Irish model of monastic institutions to the continent. A whole series of new monastic foundations under Irish influence sprang up, starting with Columbanus's foundations of Luxeuil and Fontaine-lès-Luxeuil and, sponsored by the Frankish King Childebert II. After Childebert's death Columbanus traveled east to Metz, where Theudebert II allowed him to establish a new monastery among the semi-pagan Alemanni in what is now Switzerland. One of Columbanus's followers founded the monastery of St. Gall on the shores of Lake Constance, while Columbanus continued onward across the Alps to the kingdom of the Lombards in Italy. There King Agilulf and his wife Theodolinda granted Columbanus land in the mountains between Genoa and Milan, where he established the monastery of Bobbio. From about 698 until the reign of Charlemagne in the 770s, the Hiberno-Scottish efforts in the Frankish Empire were continued by the Anglo-Saxon mission. The rule of St. Columbanus, which was originally followed in most of these monasteries, was eventually superseded by that of St. Benedict. Many distinct monastic orders developed within Roman Catholicism and Protestantism. Monastic communities in the West, broadly speaking, are organized into orders and congregations guided by a particular religious rule, such as the Rule of St Augustine or especially Rule of St Benedict. Eastern Orthodoxy does not have a system of orders per se, though some of the Eastern Catholic Churches do. Loccum Abbey continued as a Lutheran monastery since the 16th century A.D.
After the foundation of the Lutheran Churches, some monasteries in Lutheran lands (such as Amelungsborn Abbey near Negenborn and Loccum Abbey in Rehburg-Loccum) and convents (such as Ebstorf Abbey near the town of Uelzen and Bursfelde Abbey in Bursfelde) adopted the Lutheran Christian faith. 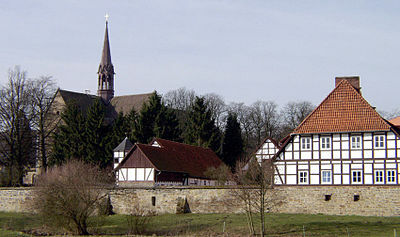 Loccum Abbey and Amelungsborn Abbey have the longest traditions as Lutheran monasteries. Since the 19th century there have been a renewal in the monastic life among Protestants. There are many present-day Lutherans who practice the monastic teaching of the Roman Catholic Church. In England, John Wycliffe, organized the Lollard Preacher Order (the "Poor Priests") to promote his views, many of which resounded with those held by the later Protestant Reformers. Shortly after the Oxford Movement began to advocate restoring catholic faith and practice to the Church of England (see Anglo-Catholicism), there was felt to be a need for a restoration of the monastic life. Anglican priest John Henry Newman established a community of men at Littlemore near Oxford in the 1840s while he was vicar of Church of St Mary and St Nicholas, Littlemore. From then forward, there have been many communities of monks, friars, sisters, and nuns established within the Anglican Communion. In 1848, Mother Priscilla Lydia Sellon founded the Anglican Sisters of Charity and became the first woman to take religious vows within the Anglican Communion since the Reformation. In October 1850 the first building specifically built for the purpose of housing an Anglican Sisterhood was consecrated at Abbeymere in Plymouth. It housed several schools for the destitute, a laundry, printing press and soup kitchen. From the 1840s and throughout the following one hundred years, religious orders for both men and women proliferated in the UK and the United States, as well as in various countries of Africa, Asia, Canada, India and the Pacific. Some Anglican religious communities are contemplative, some active, but a distinguishing feature of the monastic life among Anglicans is that most practice the so-called "mixed life", a combination of a life of contemplative prayer with active service. Anglican religious life closely mirrors that of Roman Catholicism. Like Roman Catholic religious, Anglican religious also take the three vows of poverty, chastity, and obedience. Religious communities live together under a common rule, reciting the Divine Office and celebrating the Eucharist daily. In February 2001, the United Methodist Church organized the Saint Brigid of Kildare Monastery. It is a Methodist-Benedictine residential double monastery in Collegeville, Minnesota. Besides monastic orders, the Order of Saint Luke is a dispersed religious order within Methodism. Anabaptist Christians "retained many elements of the monastic understanding of a 'holy life' that followed true faith". The Hutterites and Bruderhof, for example, live in intentional communities with their big houses having "ground floors for common work, meals and worship, the two-storey attics with small rooms, like monastic cells, for married couples". If someone wants to become a Shaker, and the Shakers assent, the would-be member can move into the dwelling house. If the novices, as they are called, stay a week, they sign an articles of agreement, which protects the colony from being sued for lost wages. After a year, the Shakers will take a vote whether to allow the novice in, but it takes another four years to be granted full Shaker status in sharing in the colony’s finances and administrative and worship decisions. Currently, there are two remaining Shakers, Brother Arnold Hadd and Sister June Carpenter, though they hope that others will join them at the only remaining Shaker community, the Sabbathday Lake Shaker Village. A monastery in Hronský Beňadik (Slovakia). In the Middle Ages, monasteries conserved and copied ancient manuscripts in their scriptoria. A prospective monk first learned grammar, logic, and oratory. Later, he would take up mathematics, astronomy, and music. The students would use a stylus on wax. Later, when their handwriting improved, they would be given ink and parchment. Eventually, many of those schools became universities. Monks in scriptoria copied texts of Greece and Rome, as well as religious texts, and kept these manuscripts from being lost during the tumultuous Middle Ages. ^ Harper, Douglas. "monk". Online Etymology Dictionary. ^ Corbishley, Mike.Monks lived a very strict and regulated life. 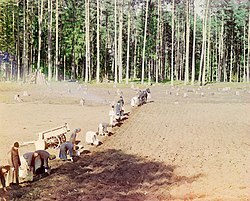 Life in a monastery included prayer, manualwork, and this promoted the idea of the dignity and labour. Cultural Atlas for Young People The Middle Ages Revised Edition. New York: Facts On File, Inc., 2004, page 38. ^ Rowling, Marjorie. Everyday Life in Medieval Times. London: Jarrold and Sons Ltd, 1968, page 125. ^ Wilken, Robert Louis. The First Thousand Years: A Global History of Christianity. New Haven and London: Yale University Press. p. 100. ISBN 978-0-300-11884-1. ^ Macdonald, Fiona. How would you survive in the Middle Ages?. New York: Franklin Watts, 1995, page 37. ^ "Idiorrythmic Monasticism". Encyclopædia Britannica. Encyclopædia Britannica Inc. Retrieved 9 October 2012. ^ Butler, Edward Cuthbert. "St. Anthony". The Catholic Encyclopaedia Vol. 1. Robert Appleton Company. Retrieved 9 October 2012. ^ "Anchoress". The Middle Ages Website. Retrieved 9 October 2012. ^ Gardner, Edmund. "Juliana of Norwich". The Catholic Encyclopaedia Vol. 8. Robert Appleton Company. Retrieved 9 October 2012. ^ One may hear Orthodox monks referred to as "Basilian Monks", but this is really an inappropriate application of western categories to Orthodoxy. ^ ""Irish Monasticism", Early Christian Sites in Ireland". Archived from the original on 13 March 2014. Retrieved 5 May 2014. ^ Redekop, Calvin Wall; Krahn, Victor A.; Steiner, Samuel J. (1994). Anabaptist/Mennonite Faith and Economics. University Press of America. p. 15. ISBN 9780819193506. ^ "Learning from the Bruderhof: An Intentional Christian Community". ChristLife. Retrieved 27 August 2018. ^ Hammond, Phillip E. (1985). The Sacred in a Secular Age: Toward Revision in the Scientific Study of Religion. University of California Press. p. 28. ISBN 9780520053434. ^ a b Williams, Kevin (3 May 2015). "A few good Shakers wanted". Al Jazeera. Retrieved 19 June 2017. ^ Gibbs, Constance (4 January 2017). "The only two Shakers left live in Maine community". New York Daily News. Retrieved 19 June 2017. ^ "The medical world of medieval monks". BBC News. 6 August 2005. Retrieved 30 April 2010. Ritari, K. (2009). Saints and Sinners in Early Christian Ireland: Moral Theology in the Lives of Saints Brigit and Columba. Turnhout: Brepols Publishers. ISBN 978-2-503-53315-5. Lawrence, C. H. (2001). Medieval Monasticism (3rd ed.). Harlow: Pearson Education. ISBN 0-582-40427-4. Chitty, D. J. (1966). The Desert a City. Oxford: Basil Blackwell. Meyer, R. T. (1950). St. Athanasius: The Life of Anthony. ACW 10. Westminster, Md. : Newman Press. "Idiorrhythmic Monasticism". Encyclopædia Britannica. Encyclopædia Britannica Inc. Retrieved 9 October 2012. Butler, Edward Cuthbert. "St. Anthony". The Catholic Encyclopedia Vol. 1. Robert Appleton Company. Retrieved 9 October 2012. "Anchoress". The Middle Ages Website. Retrieved 9 October 2012. Gardner, Edmund. "Juliana of Norwich". The Catholic Encyclopedia Vol. 8. Robert Appleton Company, 1910. Retrieved 9 October 2012. "Mendicant Orders in the Medieval World". Heilbrunn Timeline of Art History. The Metropolitan Museum of Art. Retrieved 9 October 2012.